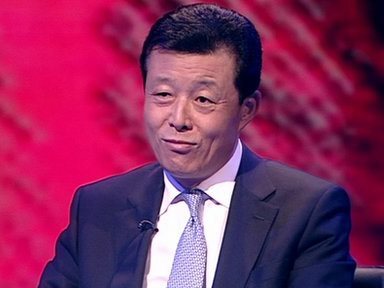 China’s Ambassador in London, Liu Xiaoming. Last year, I explained in a newspaper article the key principles concerning the Diaoyu Islands in the East China Sea, and pointed out the severe consequences of Japan’s provocations. This time, I believe Mr Abe has continued his brinksmanship by visiting the Yasukuni Shrine; it has rekindled bitter memories of Japan’s past-war crimes…Next week, The Railway Man, a film based on a true story, will be released. It tells the tragic story of a British PoW tortured by the Japanese in the Second World War. The film is not only about the atrocities committed by his Japanese captors, but also how one of them is harrowed by his own past. His redemption is only effected through deep remorse and penitence. China and Britain were wartime allies. Our troops fought shoulder to shoulder against Japanese aggressors and made enormous sacrifices. Sixty-eight years have passed since that horrible war. Yet there are always some incorrigible people in Japan who show no signs of remorse for war crimes. Instead, they seek to reinterpret history. They pose a serious threat to global peace. The Chinese will not allow such attempts. I am sure British and all other peace-loving folk will not remain indifferent.China and Britain are both victors of the Second World War. We played a key role in establishing the post-war international order that has delivered great benefits for mankind. Our two countries have a common responsibility to work with the international community to oppose and condemn any words or actions aimed at invalidating the peaceful post-war consensus and challenging international order. We should join together both to uphold the UN Charter and to safeguard regional stability and world peace. Looked at in a broader context, this might be a first signal that China is trying to insert a ‘war memories’ wedge between the UK and Japan in an attempt to sabotage construction of their ‘new type of alliance‘. Will it work? As I blogged recently, China’s rise has caused Japan to reach out to new alliances such as it is building with the UK, but at the same time China’s rise complicates the UK response because London’s desire for the economic benefits of good relations with the PRC conflict with its credentials as a ‘good ally’ against Beijing. The way PM Cameron or his cabinet colleagues respond to this may indicate which way the wind is blowing in London. So far, we had responses from Russia, the US, South Korea, Singapore and the EU, so is that an eloquent silence I hear from London?